On Friday, April 28 at 11:30 AM, VegasTech’s own Kenny Eliason will be at the Innevation Center’s CommunityCation Luncheon to talk about the past, present, and future of #VegasTech. 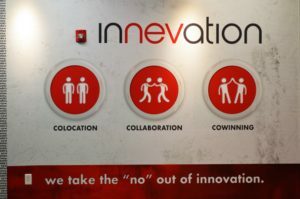 Share lunch, provided by the Innevation Center, with other tech entrepreneurs and enthusiasts at this free education and networking event. 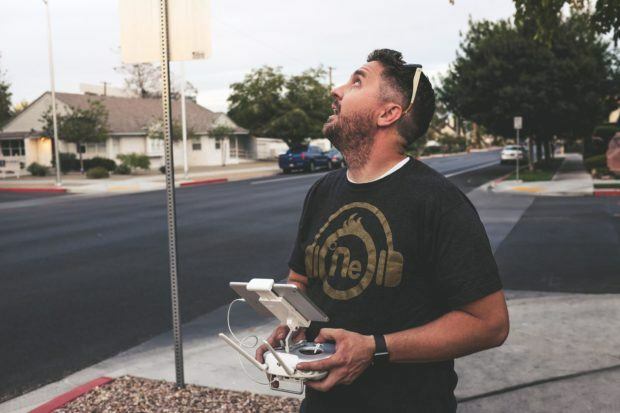 Kenny Eliason is a long time Vegas-based tech entrepreneur, and since he’s also the founder of NeONBRAND – the company that runs VegasTech – we’ve got the inside scoop. 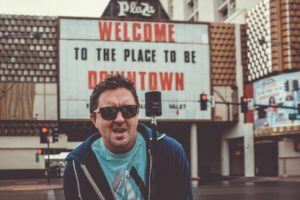 Kenny is a Vegas original and a fixture in the Las Vegas tech scene. He’s also generous with his time and knowledge. At its downtown office, Kenny’s company NeONBRAND hosts free SEO and social media Meetups each month. 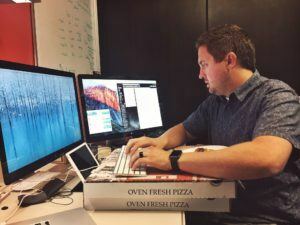 The Meetups are a popular both for the in-depth training and advice they offer, and because there’s always free pizza. Having grown up in Las Vegas, Kenny is invested in the city’s distinct culture, astounding creativity, and blossoming community. He’s especially proud of the growing tech scene that, in recent years, has centered downtown. Kenny has been a key player in that tech explosion since 2011. NeONBRAND company headquarters are located near VegasTech ground zero, and he began offering Meetups downtown in October 2013. Digital marketing is the core of NeONBRAND, but staying on the cutting edge in both marketing strategy and technology has been the company’s real strength. “I guess I just have a knack for recognizing and predicting trends. It probably also helps that I’m waist-deep in tech and social media all day, every day,” Kenny explains. NeONBRAND took the reigns to VegasTech on March 1, 2017 with plans to continue operating and expanding the #VegasTech community both online and off. On Friday, April 28th from 11:30 AM until 1:00 PM, Kenny will be the featured speaker at Innevation Center’s CommunityCation Luncheon. Innevation Center is on the 3rd floor of the Switch Center, which is located at 6795 South Edmund Street, very near 215 and Decatur. Don’t park in covered spaces, but parking is free and plentiful. Here’s a picture from another community event at the Innevation Center. Over lunch, Kenny will discuss the history of #VegasTech and the evolution of the tech scene in Las Vegas. It’s a great way to jump in and join the thriving tech community centered in DTLV, and it’s also a good networking opportunity and, you know, lunch.